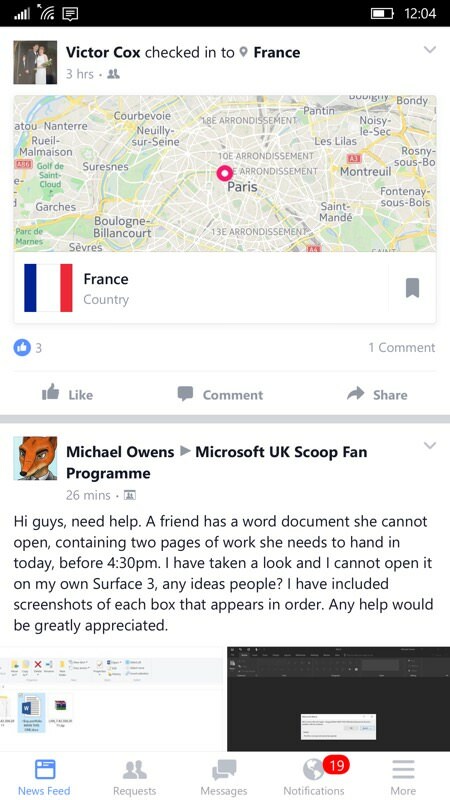 As usual with Facebook on Windows, the story here is slightly murky. 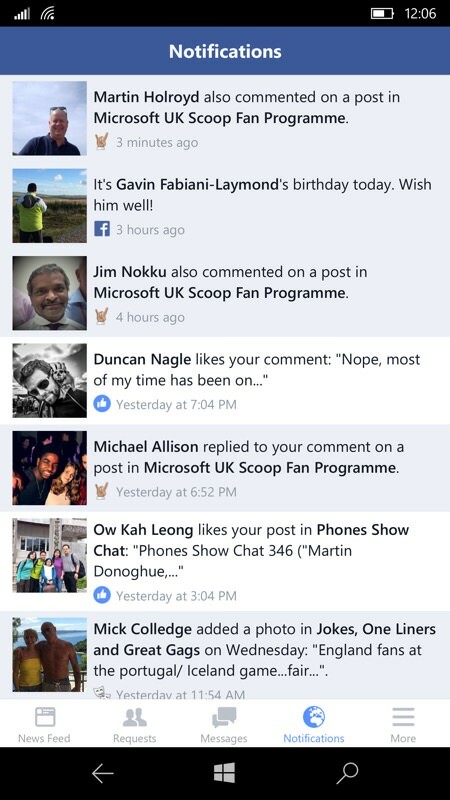 Back in the day Microsoft coded up a decent Facebook client for Windows Phone, but this has become more and more outdated. They went through a number of redesigns and refreshes, but it remained a Microsoft publication. In parallel, Facebook has shown a new momentum in coding its own UWP application for the Windows 10 ecosystem (hey, it's large enough), though it has taken many months to get to the current stage. And it's still not fully released. Users would have to know to go to the 'beta' link below, and even then it's not (as I write this) available in all regions of the world. 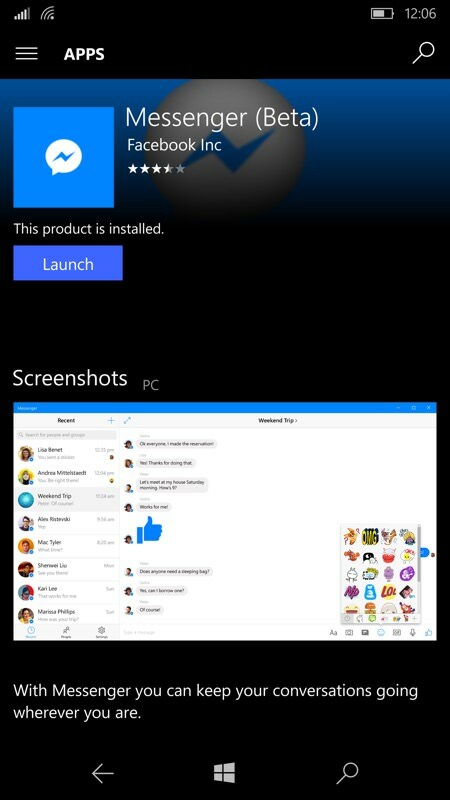 But - if you're ready to accept an app that's in beta and if you're happy to mess around with changing your phone's 'region' in Settings for the installation (and change it back afterwards) and you're OK with a client that's 100MB (yes, really) then knock yourself out, Facebook (Beta) UWP is in the Store here. 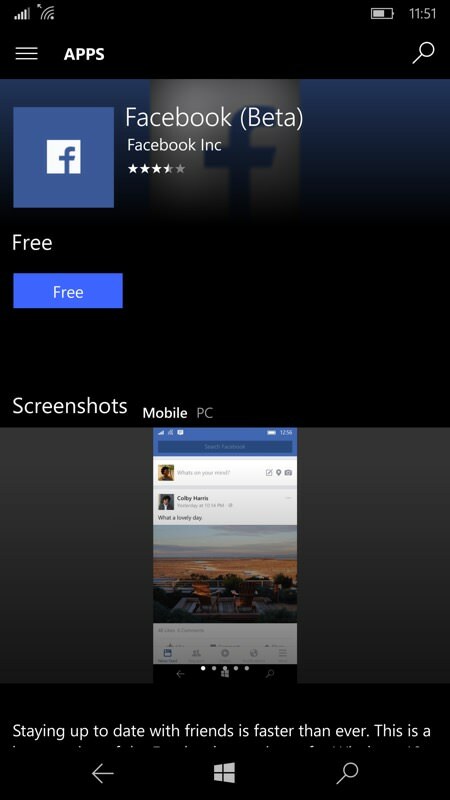 It's in public beta at last - Facebook's own Windows 10 (UWP) client! This client follows neatly on from last week's similar availability of the Facebook Messenger client - which this application err... calls. So they had to release these apps in the right order! 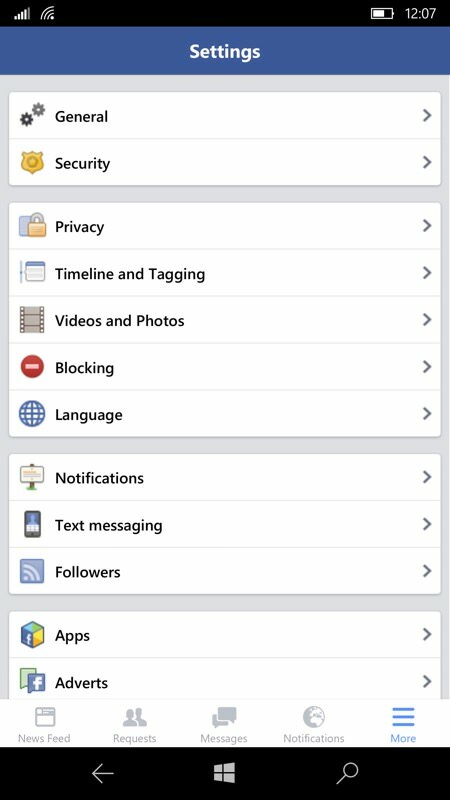 A comprehensive set of Settings, though almost identical to those in the mobile web view. Again, do we REALLY need a client for Facebook?